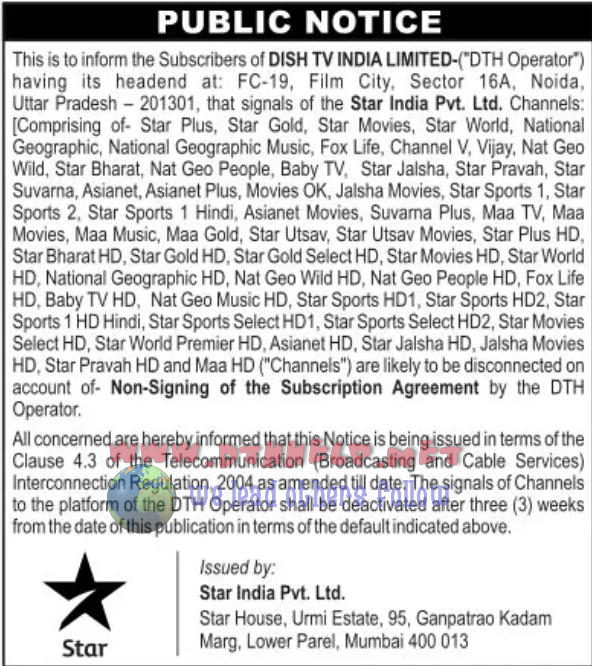 All Star Network channels will be removed from Dish TV due to non signing of the subscription agreement. Notice regarding this has been issued on newspapers by Star Network. It is mentioned that the channels will be removed in 3 weeks time.